Of course it has many uses, some of which I have listed below. 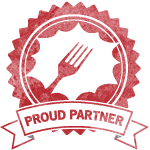 It goes from satisfying a craving sweet tooth after your meal to making an elegant place with the main course in your special menu or even as condiment of the starter … find your own way to enjoy this. With the approach of September the part of the world is saying goodbye to summer. The stores here have put aside the summer items. The shelves have been emptied to accommodate the scarecrows, pumpkins and fall leaves. Here in Texas the temperature is still soaring above the 90’s and there is no sign of autumn. I have to say I was pretty shocked to see the first squashes and the pumpkins of the season! Part of me does not want to let go of this vibrant summer and fruits and colors. I do not think I am yet ready for the chilly mornings and the leafless trees. Mango season is almost over even in the almost everlasting Texas summer. This is probably the last treasured unripe green mangoes we got. I do not want to admit, but this is one of those end of the summer recipes. Murabba also murraba or murrabo refers to savory or sweet jam consumed in the Indian Subcontinent. It is traditionally prepared with raw mangoes, sugar, and spices, and resembles a fruit preserve and might easily make you think of orange marmalade. In West Bengal any kind of fruit, vegetables and even some roots are made into murabbas. Green mango is extensively used in Indian cuisine, esp. during the summer months. Unlike the dripping juicy sweet ripe mangoes, the unripe green mangoes are whitish on the inside and sour. Pick the tight firm mangoes when making a relish. The tart unripe mangoes and the sweetly aromatic small green cardamoms make a darn good combination. 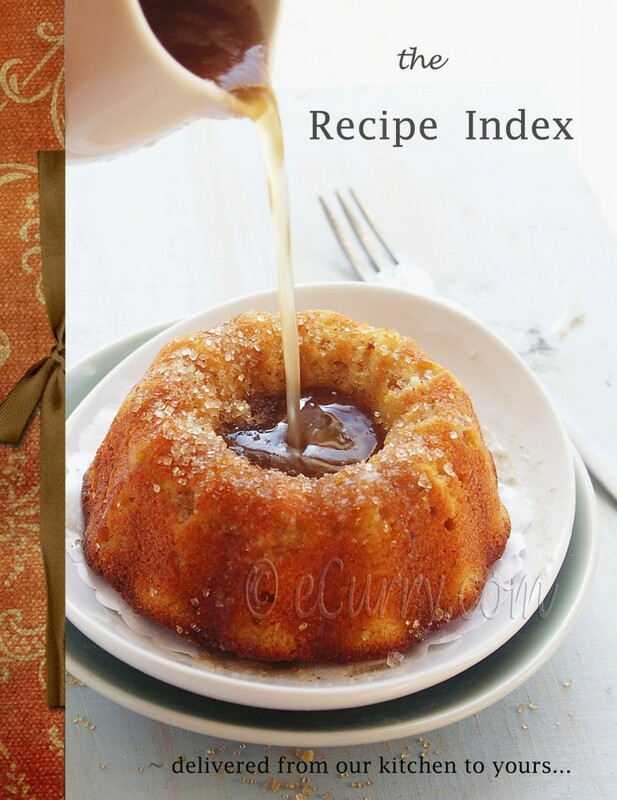 The recipe here is one of A’s favorite and the way his mom makes it. 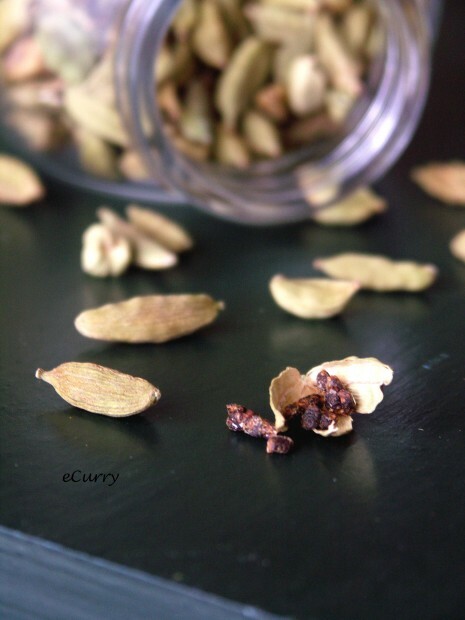 She uses cardamom for the primary flavoring, while I grew up eating the murabba flavored with fennel, cinnamon or clove in my home. 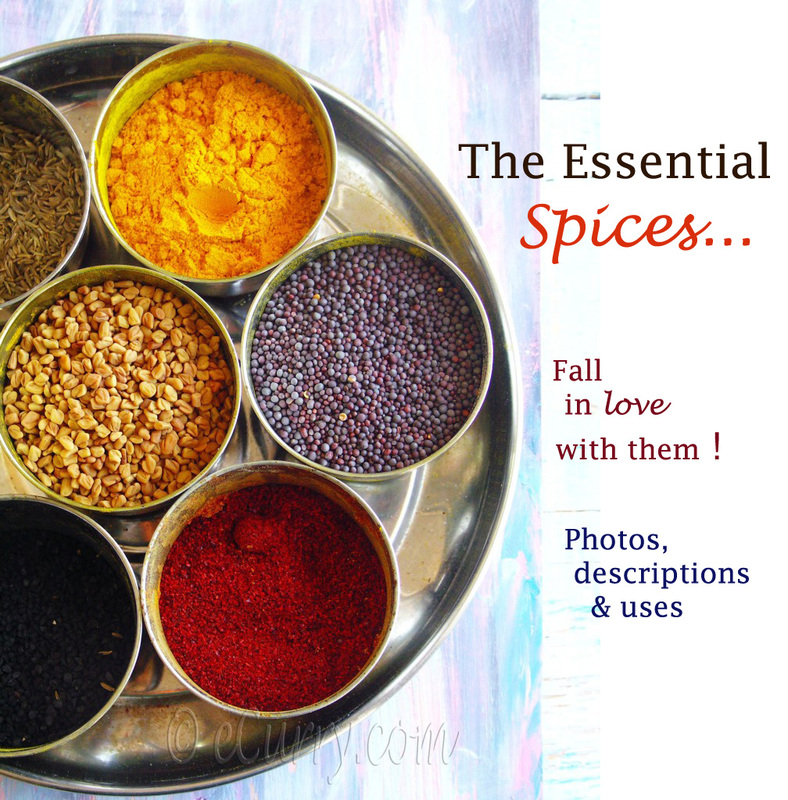 As you can see there is not one spice that may be used here. Use what ever you like. I like to use ginger too sometimes. 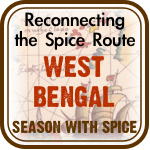 Optional spices to use : crushed red pepper/ roasted cumin/ fennel seeds/nigella /cinnamon /clove or a combination of whatever you want. Peel the green skin of the raw green mangoes. Shred/grate the flesh of the mangoes and discard the stone. 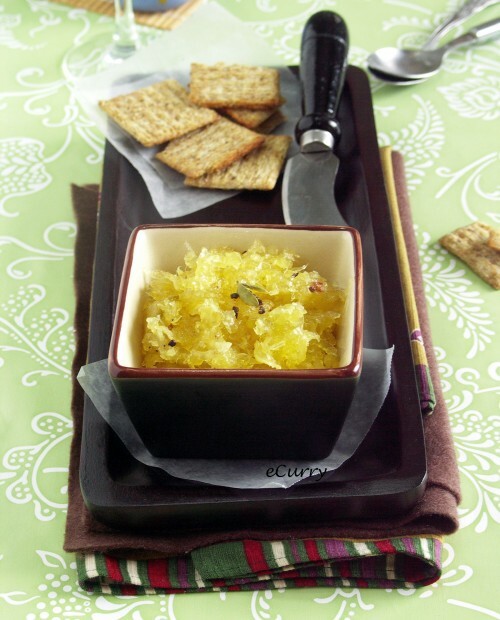 Place the shredded mango in a cheese cloth and pull the sides of the cheesecloth as you would do to hang cheese or yogurt. Twist and tie the ends at the top. In a deep pan boil few cups of water (enough for the little pouch of mango to be immersed). Switch off the heat and immerse the pouch of shredded mango in the water for about 7-10 minutes. Remove and let it drain as much as possible. Squeeze out as much water as possible. (This process is to remove the “funny” taste that raw mango can have which can make your throat itch and feel strange and also turn the relish kind or bitter). Remove mango from the cheese cloth. In a pan combine the drained shredded mango and the sugar at low heat. The sugar will start to dissolve in the remaining water of the mango. 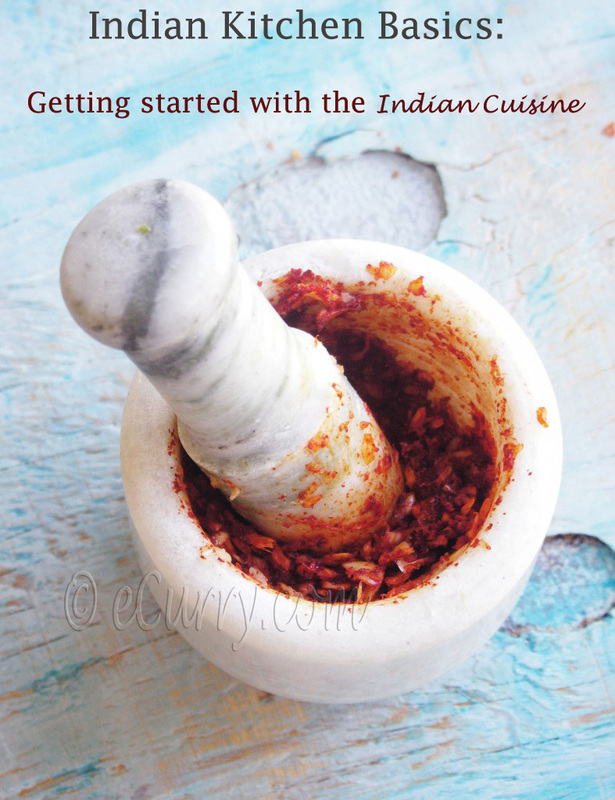 Once the sugar dissolves add the pepper or cumin if you are using them and increase the heat. Cook while occasionally stirring till all the sugar and the water has been absorbed. The consistency should be sticky like jam and the mango should still have a light crunch. Switch off the heat. Make a powder with cardamom seeds, (or whatever spice.. fennel, cumin, cinnamon or clove that you would be using) and add it to the mango. Toss to combine well. Let cool. Refrigerate in airtight containers. It will stay good for quite a few weeks. Anything with raw ,mangoes is always welcomed in our household. Loved your a version with cardamom. I will try this for sure. Awesome pics too. Please do visit my space when you find time !!! 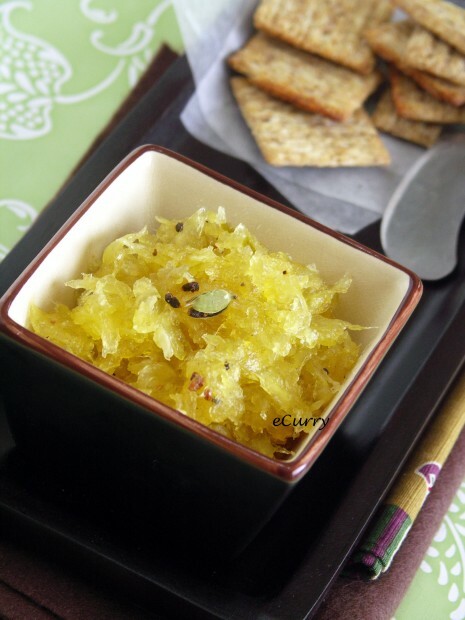 yummy yum soma..my mo too adds elaichi to mango relish..my family fav aam ka murabba…looks tempting n bful…wonderful n eyecatchy pics….do visit my space as time permits…. betn r u a rajput by anu chance…justfelt so???? That relish is very interesting and surely very tasty! I’m always fascinated by the green mango recipes in my Indian cookbooks. This looks like a simple tasty way to get my feet wet :). 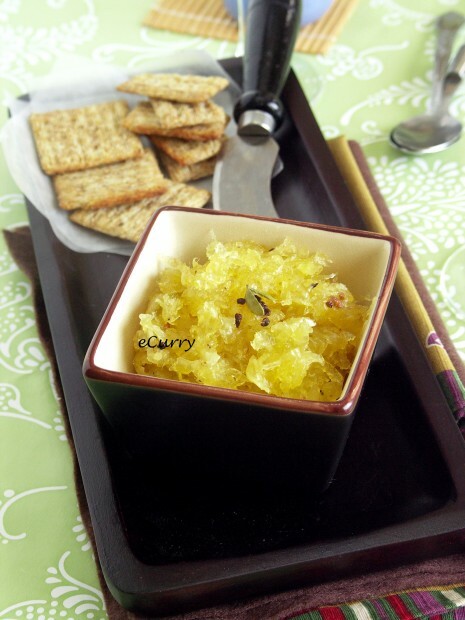 A great and unusual way to use green mango! I would love to try. my grandmother who just passed away used to make murraba. It was nice to read this. Murabba looks so tangy and colorful. Excellent snaps. i love the ginger flavoured one … darun snaps soma .. dekheyi mukhe taste pacchi … aha … kotodin khaini. next summer e kacha aam pelei eta korbo. I too don’t want summer to go. I am still wearing whites, eating ice-cream and pretending it’s summer. 😀 Your Murabba looks yummy! I love this kind of chutney with parathas. Love this.Anything with raw mango is welcome.These days we do not get mangoes -raw/ripe here. Woww very tempting relish..looks absolutely yummy..
Just reading the ingridients my mouth is wattering. DELISH. Cardamon and Mango sounds like a heavenly combination. I can count on the relish and spend the rest of the dark months. 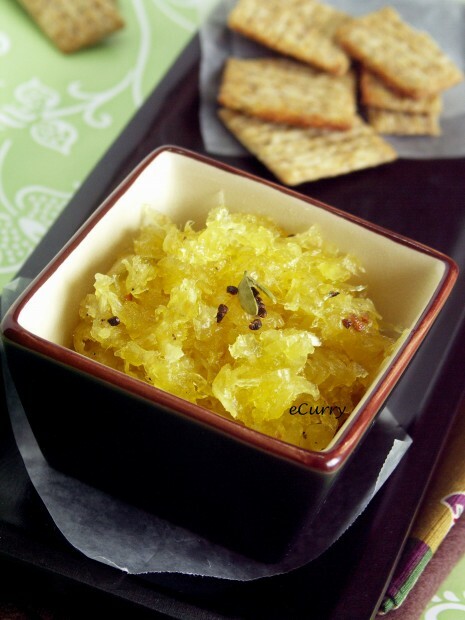 Soma, what a refreshing relish…look so pretty and I am sure that must taste awesome…love the pictures! Soma it so nice of you to give that friendly advice! I really appreciate. But I sure will consider doing that maybe for my better. Thanks again! I love green mangoes and that is one of the thing I love about CA. This summer I have stuffed myself with mangoes, jack fruits and all that I couldn’t dream of getting back in Boston. One of my friends suggested you to me. I really like it. 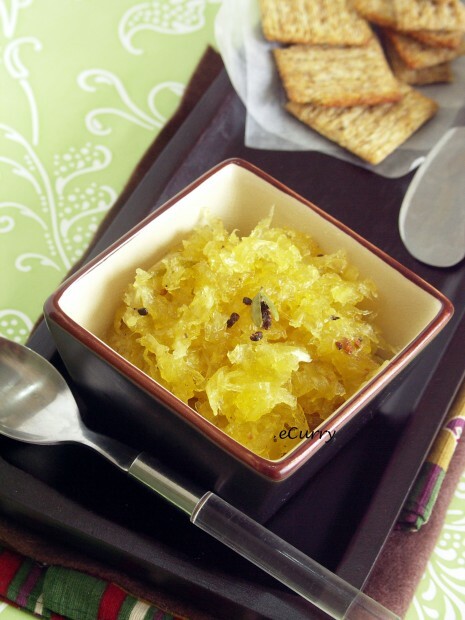 A delicious mango relish, I love the cardamom in it! Woww very tempting relish . !